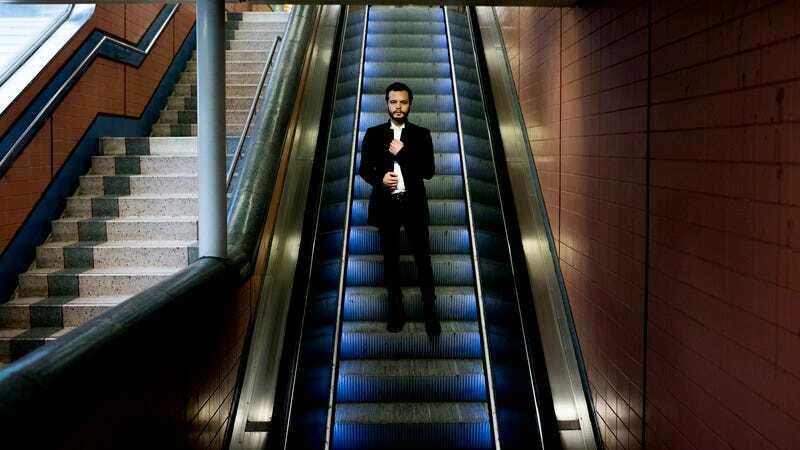 On The Tallest Man On Earth’s 2010 Sometimes The Blues Is A Passing Bird EP, Swedish folk songwriter Kristian Matsson had his first major departure from his roots when on “The Dreamer” he replaced his acoustic guitar strums with the harsh, firm tones of an electric. The singer so often compared to Bob Dylan was following in his hero’s footsteps and plugging in, and the result was exquisite. Other moments find the songwriter riding this idea with fertile results. Opening number “Fields Of Our Own” sets up the album as a smooth transition from earlier work, allowing what a press release refers to as “angel voices” to come in late in the song, creating all the dramatic tension and payoff that this kind of career move begs. The title track, coming at the record’s close, is equally successful, starting as solo offering and layering in drums and eventually a whole band, closing the album with vivid confidence. Within these bookends, though, is murkier territory. “Darkness Of The Dream” is less Dylan and more Johnny Cougar, sunk by its River Of Dreams-era Billy Joel harmonies and tambourine-happy percussion. “Slow Dance” takes a fine song with a lovely French horn and buries it under a Devendra Banhart warble and church-revival hand-claps. Matsson’s reliance on the traditionally effective results in an album that often feels too safe. That’s what makes a song like “Timothy,” which sounds Celtic and ancient in its arrangement, such a pleasant surprise, as it’s built around a genuine groove. Matsson doesn’t rely on his words to carry the song home, instead singing wordless howls for a refrain. The Tallest Man On Earth is often praised for his lyrics, and this album has well-worn themes of longing, loneliness, travel, and sadness at its core. Matsson often says as much in the timbre of his voice as he does his actual words, and his songs are the better for it. Dark Bird Is Home is melodically rich and emotionally resonant, even when some moments argue that bigger isn’t necessarily better.